ZeroChrome has also applied the versatile design on their iPhone 5c case. If you want to comfortably enjoy videos and games on your iPhone 5c, the Various-Edge protective case may be able to draw you retention. 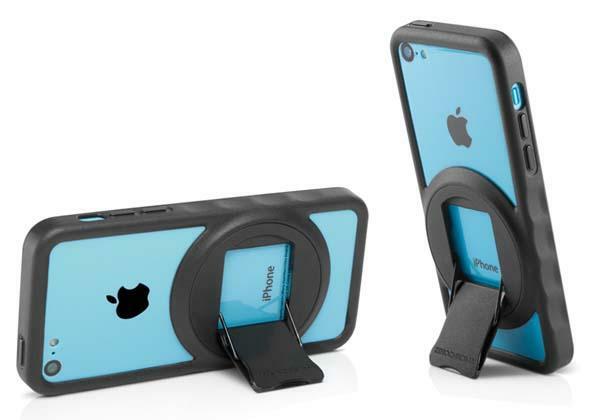 The Vario-Edge is a practical bumper styled protective case designed for iPhone 5c. 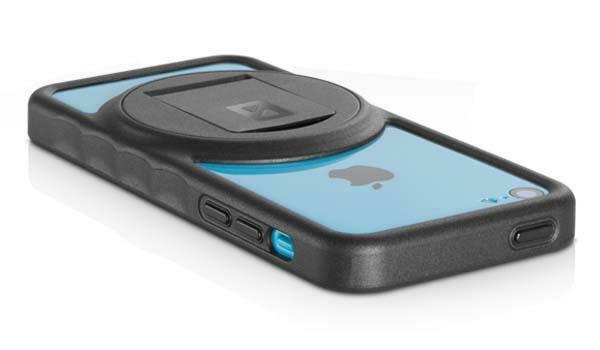 As we can see from the images, the iPhone 5c case features sleek minimal design and practical functions. Using the integrated rotatable iPhone stand the iPhone 5c case is able to hold your iOS device in portrait or landscape viewing mode for FaceTime, watching videos and playing games, moreover, the TPU bumper protects your iPhone 5c from bumps and scratches, while the bumper styled design doesn’t overshadow the gorgeous color of your iPhone 5c. Apart from that, its custom cutouts let you access to all iPhone buttons and ports. The Vario-Edge iPhone 5c case is priced at $39.95 USD. If you’re interested, jump to ZeroChrome official site for more details. Additionally, if you need other options you might like to check the Folio iPhone 5c case and more via “iPhone 5c case” tag.